Satoshi Kon was a Japanese director of anime films. Kon started his career as a manga artist and editor in Young Magazine, and then made his screenwriting debut with Magnetic Rose, a section of the anthology film Memories. Kon made his directorial debut film, Perfect Blue, in 1997, followed by Millennium Actress, Tokyo Godfathers, Paprika and the television series Paranoia Agent. A fifth film, The Dream Machine, is also in production. All of his works as a director have been made by Studio Madhouse, where he was a staff director along with Rintaro and Yoshiaki Kawajiri. He is a founder and part of the 15-member steering committee of the Japan Animation Creators Association (JAniCA) labor group. 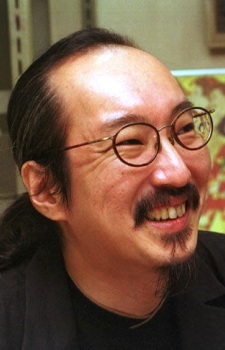 Satoshi Kon died of pancreatic cancer shortly before his 47th birthday. Before dying, he left a final statement on his blog. In a genre with anime of various types ranging from action to sports, these are the psychological anime that will actually challenge you and the way you think. This dude is absolutely a genius, I really enjoy and appreciate the work that he has done, he was pretty great and crazy about making the concept and ideas of the story, Creative and uniques transitions between cuts to another cut and of course the unsettling bizarre dark atmosphere that always makes him so special to me.